We’ve all taken a fall at some point in our lives. Most of these falls have been minor, but for some people, slip and fall accidents can cause serious and permanent injuries. While not all slip and fall accidents are caused by negligence, some of them are, and the parties responsible need to be held accountable. Property owners have a responsibility to keep visitors safe from harm and/or warn them of immediate dangers on the property. This means grocery stores with spills, construction sites with electrical cords on the ground, and apartment complexes with uneven pavement are all dangerous conditions that must be rectified or visitors must be warned. Soft Tissue Injuries – Nearly everyone has had a soft tissue injury in their lifetime. A soft tissue injury refers to damage of muscles, ligaments, or tendons. These injuries don’t always manifest immediately after an accident, and if left untreated can cause chronic pain. Cuts and Abrasions – Cuts on the arms and legs are extremely common after a fall, but victims can also have cuts on their head and hips. While cuts and abrasions only need stiches, they are often an indicator of more serious injuries like concussions and broken bones. Broken Bones – It’s easy to see how a fall could cause someone to break a bone. Fall victims commonly break bones in the arms and legs that can prevent them getting back to work and functioning normally. Head Injuries – Many falls involve serious head injuries. Falls can cause concussions that can be incredibly dangerous if not treated. Other head injuries can include swelling, bleeding, or even unconsciousness. Spinal Cord Injuries – Some of the most serious injuries related to slip and falls are spinal cord injuries. These occur when the spinal cord is severed or compressed. Not only are spinal cord injuries excruciatingly painful, they can also cause paralysis and other permanent conditions. 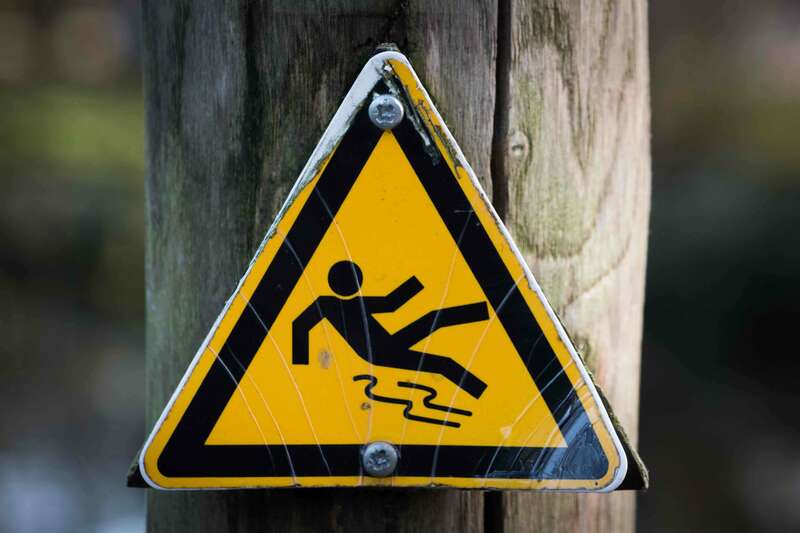 Slip and fall accidents cause more than just physical damage. Victims are often left with extensive medical bills after needing emergency medical treatment, surgeries, physical rehabilitation, specialty medical equipment, and prescription medications. What’s worse is many victims are unable to work with their injuries, meaning they lose out on wages when they need them the most. Slip and fall accident victims shouldn’t have to carry the burden of their accidents if caused by someone else’s negligence. If you or someone you love was injured in a Nashville slip and fall accident, contact Whitfield Bryson & Mason LLP today for a free consultation.